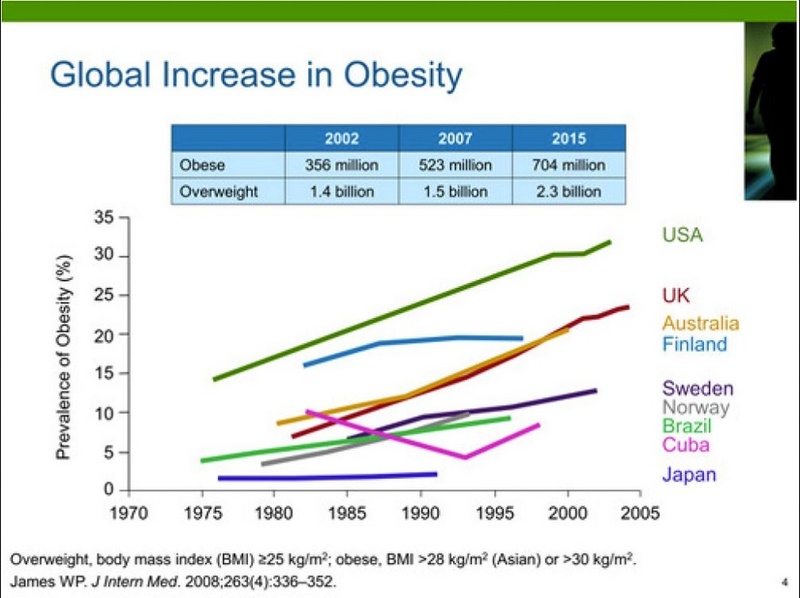 Livliga® Live Vibrant Blog: New Numbers Show The Obese Are Doomed to Fail—Is there a Solution? New Numbers Show The Obese Are Doomed to Fail—Is there a Solution? I hate being defined by a statistic. Don’t we all? Especially when the statistic tells me I am doomed to fail. A recent study by University College London analyzed data of 278,000 obese people from the years 2004 to 2014 who were found in the UK's Clinical Practice Research database. The study, published in the American Journal of Public Health, shows the odds of a clinically obese person achieving normal weight are just 1 in 210 for men and 1 in 124 for women in a given year. Individuals in the study were somewhat more successful at managing enough weight loss to improve their health, defined as dropping at least 5 percent of body weight. But they often did not maintain the lower weight. At least half of those who lost 5 percent of their body weight regained it within two years, and more than 78 percent regained it within five years. Ugh. Why are the results so poor? Why is it so tough for people to succeed in losing and keeping off unwanted pounds? Researcher Alsion Fildes thinks it "might be because people are unable to access weight-loss interventions or because the interventions being offered are ineffective -- or both." Who can argue with that? But I think this assessment only deals with part of the reality people face as they grapple with staying healthy, losing weight and maintaining weight loss. The reality is we live in a world of over abundance. Studies have shown that every culture that has access to more easily available foods, and especially highly processed and pre-packaged foods, ends up having to grapple with obesity. 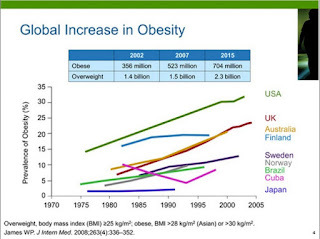 Even the French have doubled their obesity in a mere 10 years. It is all about the world we grow up in and live in day-to-day. If we are bombarded by visuals from tv, magazines, billboards, computers, iPads and cell phones showing us heaping amounts of foods saturated with salt, fat and sugar it is easy to see how we are brainwashed to eat more and eat unhealthy foods. Every time we are served food especially at restaurants, we are over served. When foods are served and packaged in sizes that encourage overeating, it is not hard to understand why so many overeat everyday. It also doesn’t help that we cook less at home and eat more and more pre-packaged foods that are calorie dense rather than nutrient dense. And to top it all off, food is a core part of all the “feel goods” in our lives. A holiday is not considered a holiday without abundant and decadent foods. Overeating is actually encouraged and celebrated. In a world that brainwashes us and encourages us to overeat, and actually celebrates our overeating, it is no wonder more and more of us are becoming obese and staying that way. How can we change this unhealthy trend and sustain that change in a world that does not currently support that change? We change the environment we live in. We demand the world change around us. The psychology of eating is profound. To succeed against the battle of obesity we have to acknowledge its effects and use it to our benefit instead of our detriment. We can start in our home. There are easy changes we can make. Here are some proven-to-be-successful ideas. Limit prepackaged foods. Those we have should be stored out of sight. Have a big bowl of colorful fruit prominently displayed in our kitchen as the first thing we see. Cook more using fresh, whole foods. Make sure the dishware, glassware and serveware we use is right-sized so we no longer automatically encourage over serving ourselves at home. Serve food in the kitchen, not at the table. Pick healthier recipes. Shift the focus of holidays and celebrations from over eating to relishing special foods. We can encourage other family members, friends and our community to be part of the health focused transformation. This is not a one-person issue. We can demand food corporations change their packaging sizes as well as unhealthy ingredients. We can insist advertising changes on all fronts. If we want to succeed we have to take action and start doing things differently. Trying just to eat less will never work long time. We respond to the environment we live in. As all of us can see we are doing a great job of mirroring the current environment of over abundance. Now is the time to start transforming the world we live in to reflect the healthy lifestyle we all want to live in and, quite frankly, deserve. There is a solution. We are not committed to a life of failure. We do not have to give in to a life of obesity and ill health. Let’s take action together.